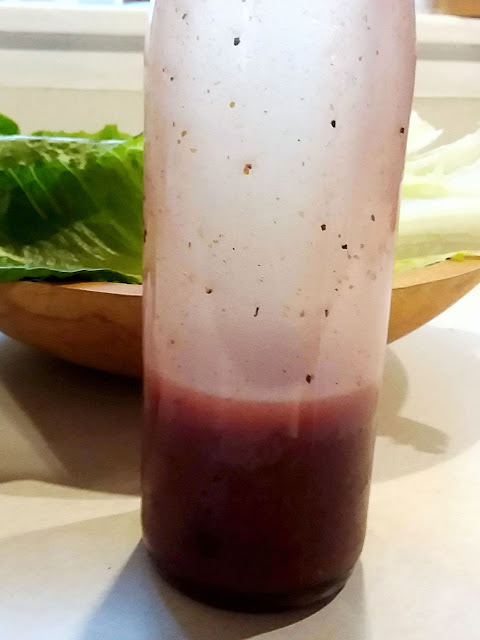 Take your favorite jam, any flavor, and turn it into a vinaigrette. Say what? Oh my gosh, I love this. Since I make so many different jams over the year, this was a fantastic discovery. Who knew? So easy to do, and very versatile. When you get down to the bottom of the jam jar, make this simple vinaigrette, or don't wait. Just scoop out a heaping tablespoon of your favorite jam anytime. 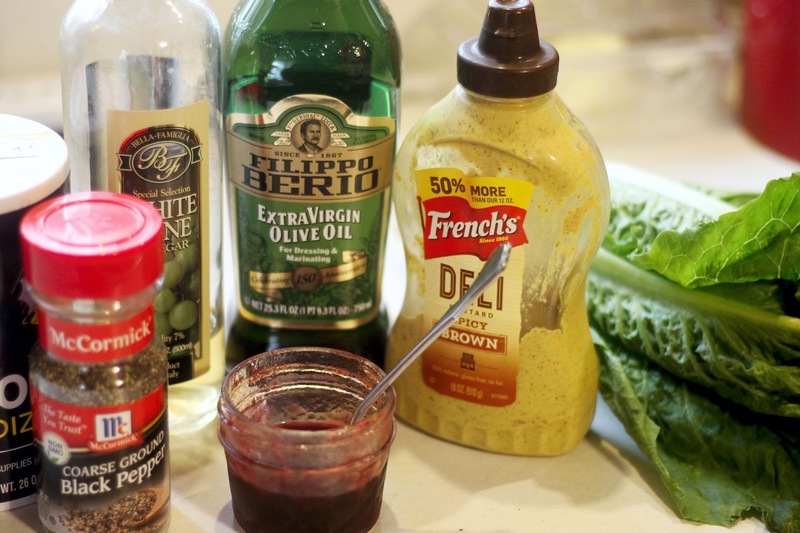 This also makes a great "sauce" to brighten up grilled chicken, pork, or shrimp. Simply drizzle some on while grilling, and serve more on the side for dipping. 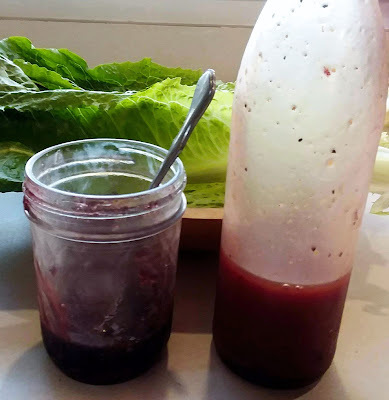 To the bottom of a almost-empty jam or jelly jar, add the other ingredients and shake to combine. Or, whisk together all the ingredients in a small bowl, streaming in the olive oil. Use immediately to dress your favorite salad. Cook's note - recipe makes just enough for one-time use. If you want more, the recipe is easily doubled. Store in refrigerator up to one week.